It was supposed to rain all weekend. Instead, racegoers who took their umbrellas ended up using them as parasols as Seoul basked in perfect conditions for punting. 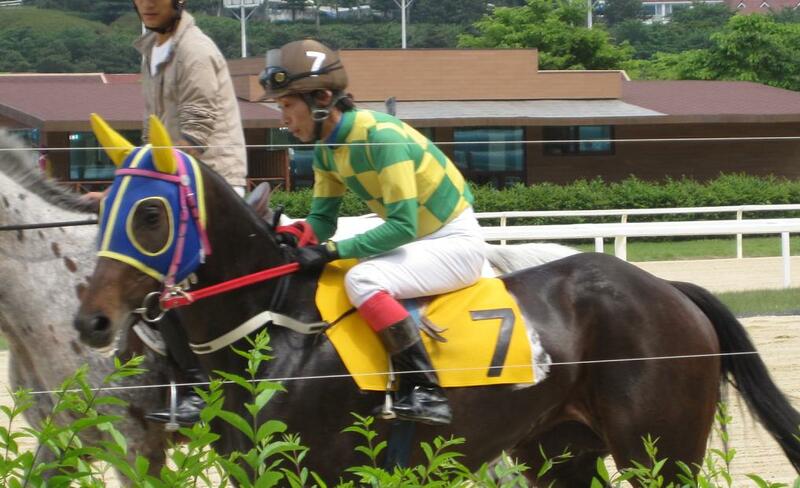 And Sunday was a very good day for Seoul Race Park’s sole foreign jockey as Toshiyuki Katoh landed a quick-fire double in races 5 & 6. Approaching the first anniversary of his Korean debut, the Japanese rider had only been successful on seven occasions before today. 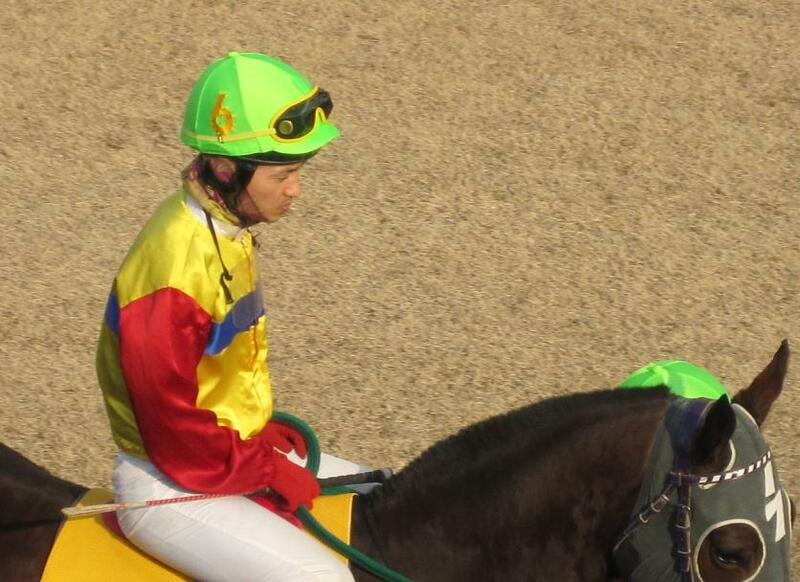 However, strong rides, first on filly Wink and then, a race later on Dongbang Jinju. Like all foreign riders before him at Seoul, Katoh has struggled to get rides, let alone good ones. When he has been given horses with chances, he hasn’t let anybody down. Down at Busan, where things have been better for overseas riders – in terms of opportunities anyway – there was more success today for the Japanese contingent. Kunihisa Hirase guided old-stager Wonder Love to a two and a half length victory in the feature race. The now eight-year old Wonder Love made his debut in December 2004, just three months after the track opened. While the pinnacle of his career was victory in the Gyeongnam Governor’s Cup in 2008 his performance today, ahead of a field including King Kephalos (who returned lame), Haengbok Dream and fellow old-timer Golding, showed he still has plenty to offer. In other races at Seoul, there was a useful win for US import Bop’s Punch – the four-year old getting the better of a photo-finish with Mistergolden to secure his first victory at class 2. Meanwhile, three-year old filly Magic Collar scored her first victory at class 3 and her fourth from eight starts overall – a tilt at the Oaks may be possible. * The most valuable race of the weekend at Seoul took place on Saturday. With likely favourite Taesanbukdu a late scratching, it was left to Ugildongja to take the honours for jockey Ham Wan Sik. Racing is back and Busan hosts arguably the most interesting race of the weekend on Friday afternoon as Hangang Ruby, Ebony Storm, Night Moves and Mulbora are among a full field of fourteen class 1 horses getting a rare opportunity to compete for a big prize over the sprint distance of six furlongs. 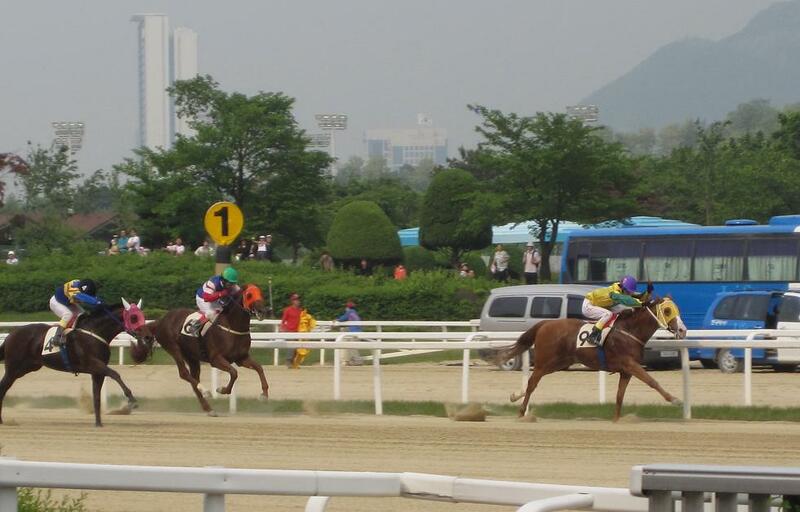 As usual, Busan hosts cards on Friday and Sunday while Seoul has its most valuable race of the weekend on Saturday. It’s a relatively uninspiring line-up for the ten furlong handicap, however, with Taesanbukdu slated to be top weight by some 5 kilos. Nevertheless, there’s plenty to get stuck into in the rest of the card on both days. 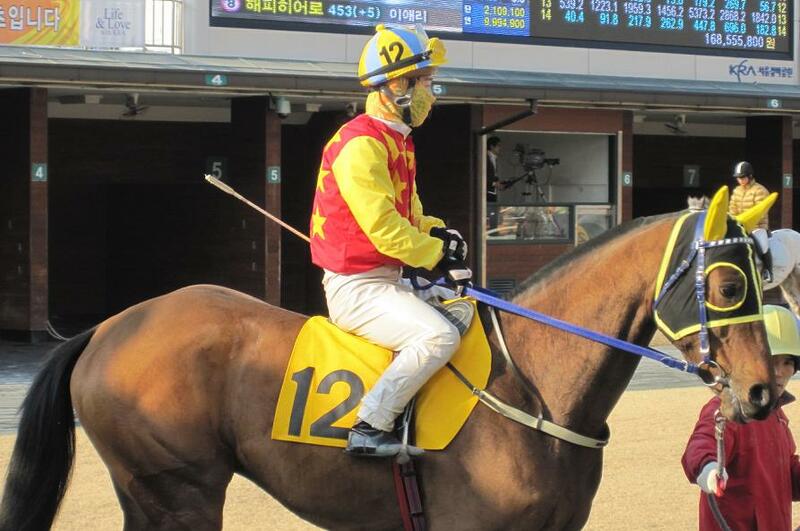 Three of Seoul’s top jockeys will be on the sidelines this weekend. Choi Bum Hyun remains injured while Moon Se Young and Kim Ok Sung both begin bans which will last for four meetings. It will be an opportunity for the chasing pack to close some of the gap between themselves and Moon, who is looking to regain the title that he won in 2008. Betting has been in the news in one form or another over the past couple of weeks in Korea. First off, the Starcraft “Match-Fixing” case saw some breakthroughs with arrests and charges and now supposedly confessions. Ultimately it seems a tale of young men being manipulated for surprisingly little money. Next up is the JoongAng Daily with a glorified advert, masquerading as news, for Sports Toto’s World Cup games. Sports Toto is one of Korea’s licensed lotteries and runs pools on Korean domestic sports leagues as well as European football. It’s run by the Seoul Olympic Sports Promotion Foundation which also operates Track Cycling and Motorboat racing. These, along with horse racing and one casino,are the only legal betting opportunities for Koreans. Speaking of that one casino, most news outlets covered the story of a Mr Ahn Seung Pil, who won the “Super Mega Jackpot” at Kangwon Land and promptly decided to donate all his winnings – which at 766 Million won were the biggest in the Korean casino history – to the Korea Advanced Institute of Technology and Science (KAIST). KAIST is one of the nation’s richest academic institutions. Mr Ahn said he was inspired to make his donation after he remembered seeing a KAIST Professor on TV complaining that without adequate funding, Korea’s scientists will end up lagging behind their Chinese counterparts. Whether that happens or not, that Professor surely has a second career in Sales ahead of him. Luxury Jewang held off a determined challenge from Daesahyeong to win the Sports Chosun Cup at Seoul Race Park this afternoon. The five-year old took the line just a neck ahead of his rival, giving young jockey Boo Min Ho his second big race win of the year. It was the lightly raced Blooming who set the early pace but in the back straight Boo Min Ho brought Luxury Jewang right from the back of the field to the front. When Blooming fell away with two furlongs to go, favourite Khanui Huye struck down the rail. Luxury Jewang was the stronger though and while Daesahyeong was the quickest of them all in the final furlong, the line came just in time. Luxury Jewang was recording a fifth win from twenty starts. His previous best performance came in January, when he claimed the scalp of the then unbeaten Seonbongbulpae. Now he’ll be competing in the same class every outing. 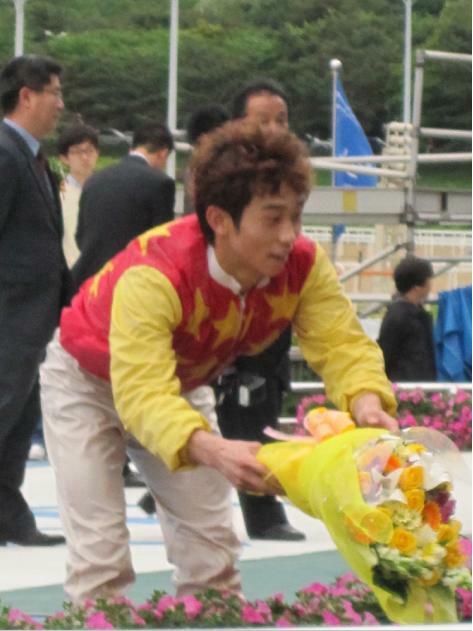 Meanwhile jockey Boo Min Ho adds the Sports Chosun to the Segye Ilbo Cup that he won earlier this year. 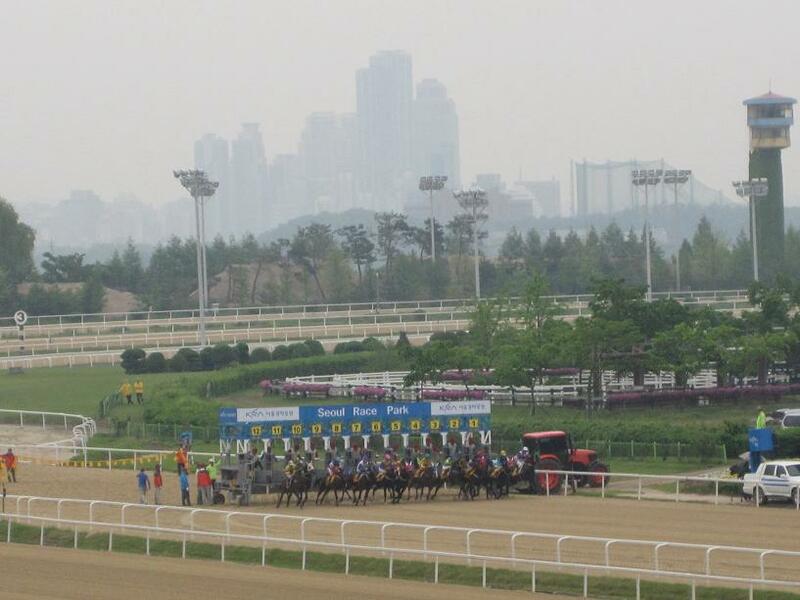 While racing at Seoul was run under slate-grey skies, the rain by and large held off. 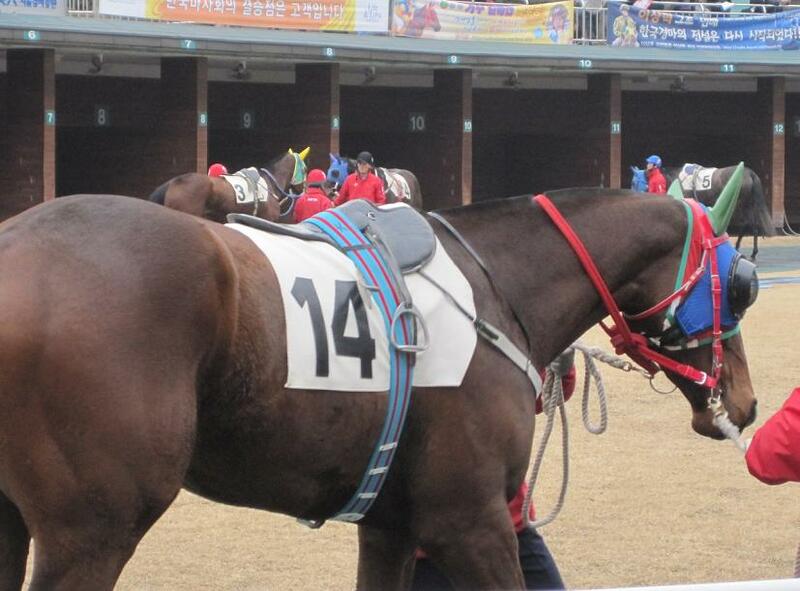 Not so at Busan where five of the six races were run in torrential rain. This made for plenty of drama in the co-feature races. First up was the Kokura Handicap, sponsored by Japan’s Kokura Racecourse. Namdo Jeap, taking on overseas bred horses yet again, was sent off the favourite but foundered in the sloppy home straight as New Zealand bred old-timer Gunham [Anziyan – Kaapture The Heart (Kaapstad)] took advantage of a favourable handicap to record his first win in over a year. The second co-feature saw Sangseung Ilro, last year’s Derby winner sent off the favourite but, in a topsy-turvy final furlong where the lead changed hands three times, she was beaten into second by Gangjaui Beopchik. A horse who frequently hits the money finishes but hardly ever wins – this was Gangjaui Beopchik’s first victory since September 2008. Peter Wolsley’s Khaosan filled out the placings. Back at Seoul, three-year old American import Tough Win [Yonaguska – Maggie May’s Sword (Sword Dance)] was going for his seventh straight win, this time over ten furlongs. He duly obliged by two lengths without jockey Cho Kyoung Ho having to do much except point him in the right direction. A showdown with Dongbanui Gangja – the highest rated horse in Korea – now seems inevitable and few will be betting against the younger horse. Just a week after the Derby, Stakes racing is back at Seoul Race Park on Sunday in the shape of the 21st Sports Chosun Cup. For Korean bred horses aged four and up, but who haven’t made it to class 1 yet, it offers an opportunity for those horses who’ve been at the fringes of the top-tier of Korean racing to break into the big time. A full field of fourteen will contest the nine furlong race and it really is “stick a pin in it” time as any one of a number have good claims. Two horses have won at the class and distance before. Of these Seon San is well favoured while Pop’s Slew will be carrying significantly more weight than when he triumphed. Luxury Jewang was the first horse to defeat Seonbongbulpae – one of this year’s star three-year olds while Khanui Huye also has notable scalps and was a creditable fourth in January’s Herald Business. Blooming has five wins from just eight starts and while Gamdongui Sungan hasn’t had a good year, a third place last time out suggests he is returning to form. 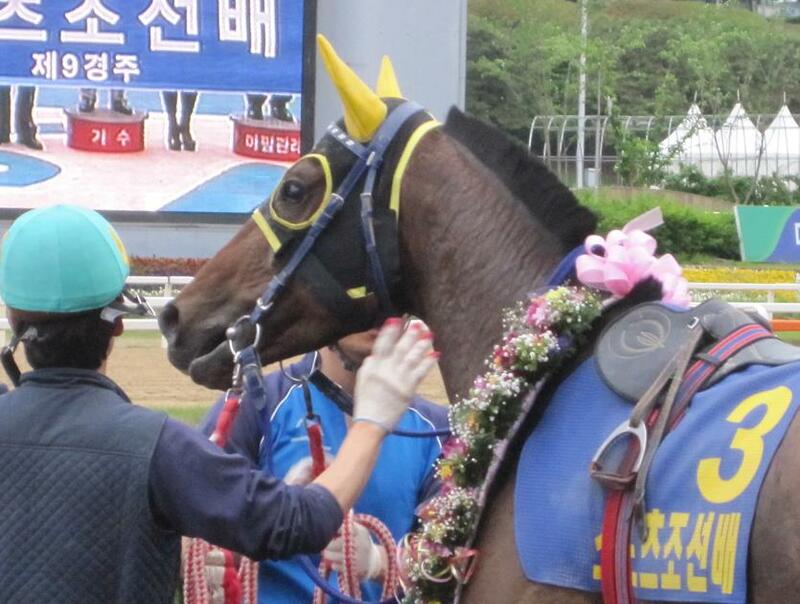 Neither Daesahyoung and Golden Rose should be overlooked while Top Seed is the improver of the race. 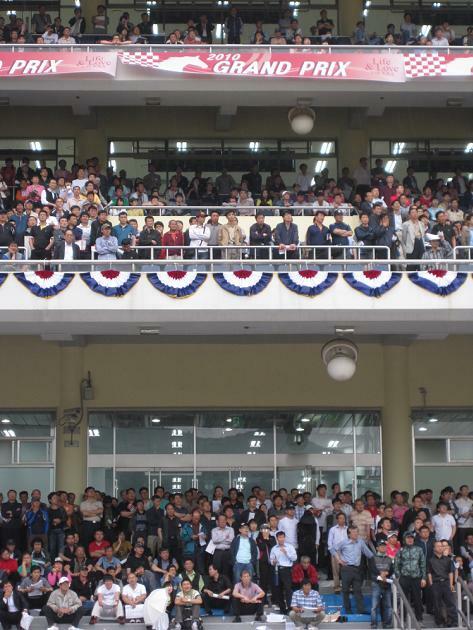 Once the Sports Chosun is out-of-the-way, one of the hottest properties in Korean racing will take to the track. Tough Win has six wins from six starts and has Dongbanui Gangja firmly in his sights as they head towards a potential clash in the Owners’ Cup next month. Tough Win will be long odds-on to dispose of a class 1 field. It’s not just at Seoul where there’s action. Down at Busan, Namdo Jeap, winner of last year’s Minister’s Cup once more faces overseas-bred horses while Sangseung Ilro, last year’s KRA Cup Mile and Derby winner will go in the second of the double feature races. Overall it’s set to be a great day’s sport. There’s just one problem: It looks set to rain all day! Triple Seven recorded his fifth straight win to confirm his position as the top Korean bred horse currently in training at Seoul on a damp afternoon at the racecourse. Making his first start since his Ttukseom Cup in last month and with Moon Se Young partnering him for the first time in the absence of regular jockey Choi Bum Hyun, Triple Seven was sent off odds-on favourite for the nine and a half furlong handicap. It wasn’t easy. After early pace-setter Natural Guy had gotten out-of-the-way, Mighty Runner – a former Ttukseom Cup winner himself – took things up with a furlong to go. Coming late down the outside, Triple Seven just hit the front in time and had enough left to hold off the late challenge of Free Woody to win by a neck. It was a tenth career victory for Triple Seven [The Groom Is Red – Impudence (Grand Lodge)] with his last defeat coming at the hands of currently injured Nice Choice in last year’s President’s Cup. On a thoroughly miserable afternoon weather-wise, punters found Seoul Race Park decked out in unusual flags and bunting proclaiming “Grand Prix 2010”. After checking the calendar to make sure we hadn’t skipped seven months until the actual Grand Prix which is in December, it emerged that the decorations are for the movie “Grand Prix” which is currently being shot at the track – although apparently in some disarray as its male lead Lee Jun Ki was hauled off to the Korean Army earler this month. Sadly Kim Tae Hee was nowhere to be seen. Maybe tomorrow. Back on the track, there was an impressive run by three-year old colt Silver Way who did his late season Classic prospects no harm at all by claiming the eight and a half furlong race 8 by seven lengths. Moon Se Young was jockey of the day with four winners while New Zealand import Call Me Tiger [One Cool Cat – Hairini (Zabeel)] scored his second victory from as many starts. Call Me Tiger arrived in Korea last December – just one day before One Cool Cat himself arrived to begin his Korean stud career. Racing returns to Seoul tomorrow with the Sports Chosun Cup and an appearance by potential superstar Tough Win. There will also be racing at Busan. The holiday weekend – Happy Birthday Buddha! – got underway at Busan today. There were wins for highly thought of three-year old filly Money Tree, and the improving colt God’s Word. See Full Results. On Saturday, attention moves north to the capital as Seoul hosts its first racing since last weekend’s Derby. 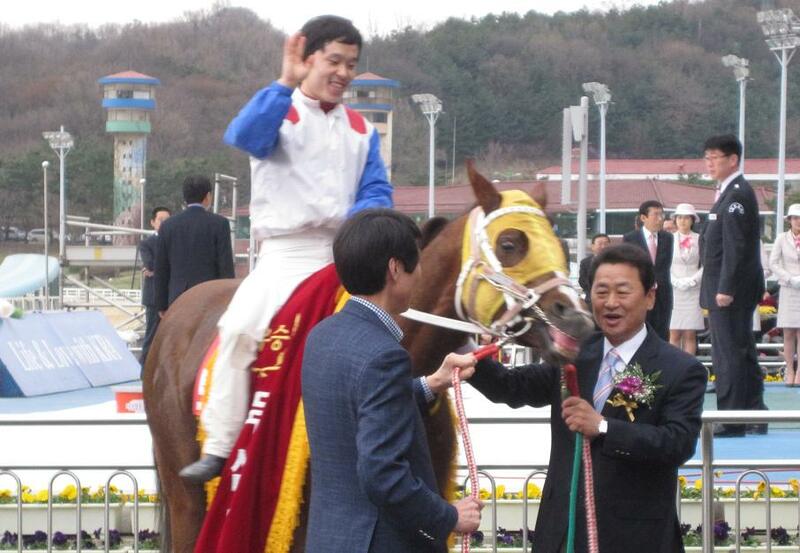 Triple Seven makes his first start since winning the Ttukseom Cup last month. 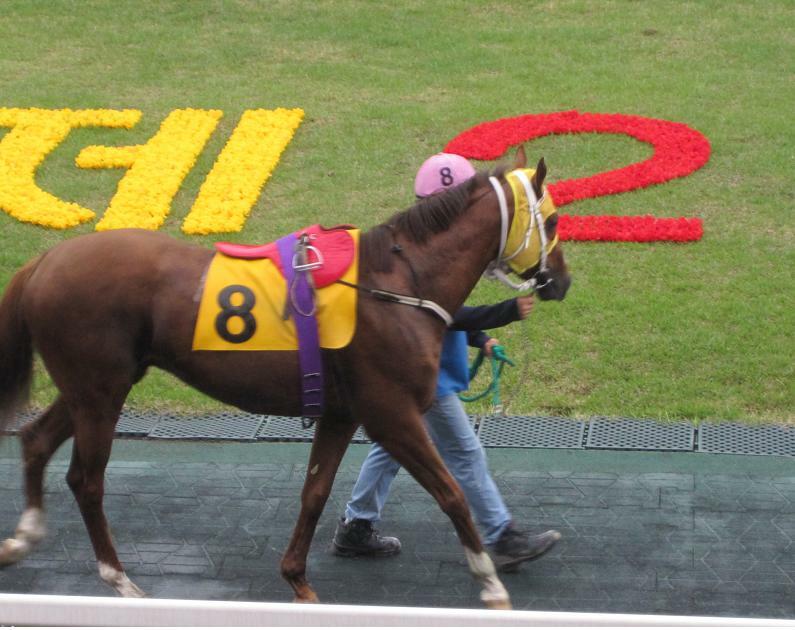 Currently ranked the top Korean bred horse in training, the five-year old goes in race 11 and will carry top-weight against a competitive field which includes Baengnyeonbong, Lucky Seven and Mighty Runner.